Try our twist on a traditional southern favorite. 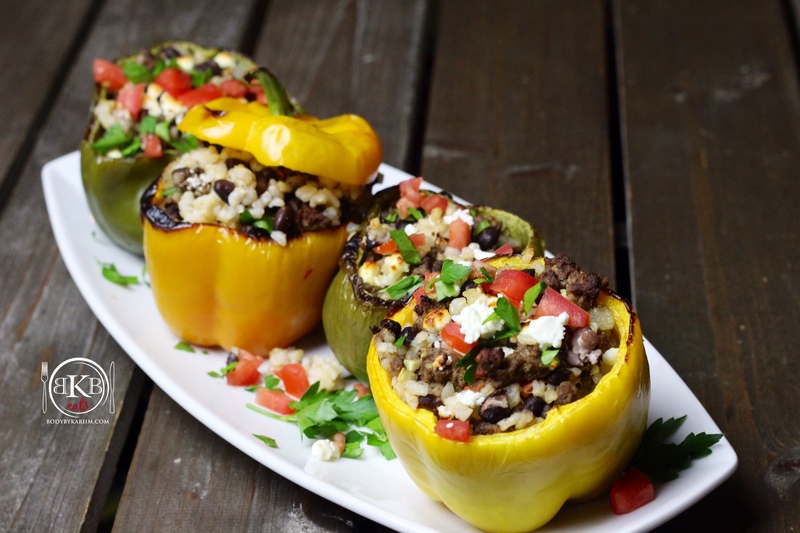 Stuff brightly colored bell peppers with our delicious ground lamb, black bean and brown rice mixture. This protein packed dish is a perfect combination. Full of flavor and very filling! 1. Soak beans in water overnight. The next day, drain water from pot and rinse beans. Add fresh water to pot about fill about an inch over beans. Then sprinkle sea salt to taste. Turn heat on high until beans begin to boil. Once beans are boiling, turn heat to low and allow beans to simmer for 1.5 to 2 hours. **NOTE: The dry bean process can be done the day before to save prep time. Keep in mind, using Organic canned black beans are also fine. 2. For Brown Rice: 1 cup of brown rice and 2 cups of water. Pour water into pot and bring water to boil. Once water is boiling, add rice. Let rice simmer for 25-30 min until soft. 4. Chop onions, garlic, tomatoes, and habanero pepper. 5. In a large bowl, mix together ground lamb + onions, peppers, garlic and habanero mixture. 6. Turn pan on to medium high heat and add ground lamb. Cook until done (brown) – then drain fat from meat. 7. Pre heat oven at 400 degrees. While oven is preheating, cut, remove tops and seeds from bell peppers. 8. Once oven has pre-heated, Place bell peppers on a baking pan, put them in the oven and bake for 10 minutes. 9. Remove bell peppers from oven and fill each with the ground lamb mixture. Fill to your liking & top with goat cheese crumbles. 10. Place back in oven on BROIL for 3 minutes Or until goat cheese melts and starts to brown. Plate & serve!